This is the ultimate G-10 tactical handle material! 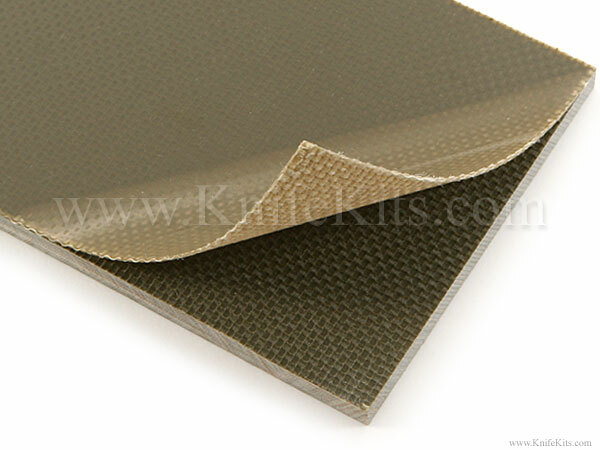 We have worked with the leading manufacturer of G-10 composites to create the highest quality coarse textured G-10 sheet available on the market today for handle making usage. 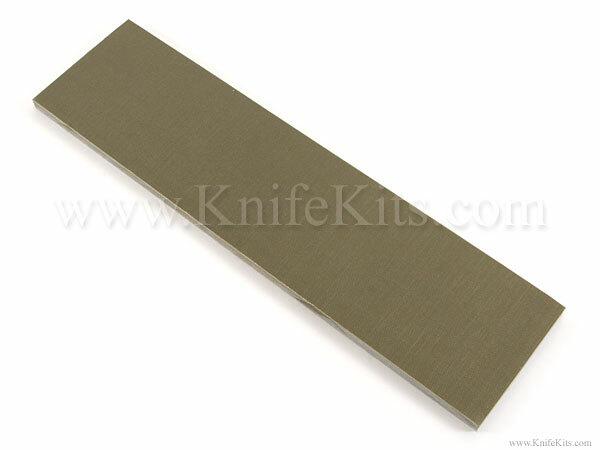 Our 3/16" coarse textured material has the best grip finish available for knives, guns and other items. This material was developed as an exclusive product to KnifeKits.com. If you want to get the maximum grip on your knife or gun handle, or that perfect tactical handle look, this is your stuff! Our OD green coarse textured G10 is superior to the tactical handle textures available on today's most popular tactical folding knives. This stuff blows them away! That's why our textured G-10 is the "go-to" material for leading tactical knife makers. The deep coarse textured design of this material offers the best grip available and is preferred by military and law enforcement officers for hard use weaponry.